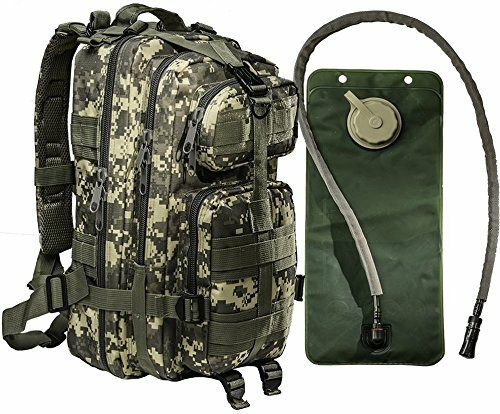 2 L WATER HYDRATION BAG INCLUDED. No more plastic bottles to take up space. HEAVY DUTY 600D NYLON - tough and water resistant. MOLLE COMPATIBLE. Add popular MOLLE componets to expand your pack's role.